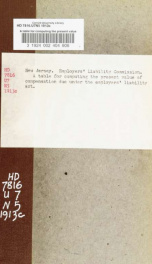 Read online "A table for computing the present value of compensation due under the Employers' liability act of the state of New Jersey" by New Jersey. Employers' liability commission. Instant free e-book download at OnRead.com.